opposed to Prester John. Pursued by deadly enemies, Elowen soon discovers that her journey is far more dangerous than she could have possibly imagined. For the map she carries holds a secret, a secret that could change the world forever… The first part of the TREE OF LIFE trilogy, The Map of the Known World takes you into a saga of forgotten magic, adventure and treachery that will grip both young and old. 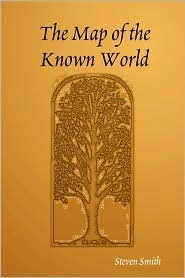 The first, first, first thing I’ll tell you is, go grab your free copy of The Map of the Known World!! You can download it from Lulu, free of any charge. As my rating subtly suggests, you will not regret it one bit!! This story is spectacular; and I mean, spectacular! Yes, I am fangirling about it like crazy! But you will be hooked by page 1, I mean I was. The main character, the lovely Elowen Aubyn, will prove to be completely irresistible. She has to deal with a lot, she goes through a lot, and you won’t be able to help loving her. Her brave, generous, pure heart will make her your fairytale hero. All her struggling will deeply touch you, all her emotions will become your own; you’ll want to jump in the story and help her, or join her on her brave quests. The world itself is simply gorgeous; magical creatures of all sorts, fairy-folk, unicorns, merpeople, elementals, pirates…I mean, what isn’t there in this rich, luxurious world Steven Smith has created? A world of unparalleled beauty, filled with mystery, thrills, suspense, and magic, lots and lots of magic – all beautifully put together, beautifully described. And this brings me to another super-extra-strong point of the story: the writing itself. Flowing, charming, quite mesmerizing I would say, Steven Smith‘s art of storytelling will surely prove enthralling. Original, fresh, natural, and so, so beautiful, his talent of storytelling is right up there with big names of fantasy. 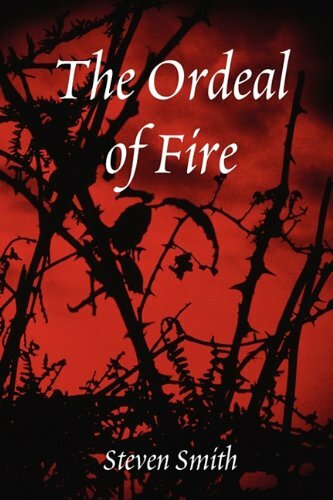 As you can see, I loved the first book of the saga more then the second; perhaps I was influenced by the characters, aside the charming Elowen and her travel companions, I felt a stronger connection to the characters in the first book. But it’s an entirely personal subjective view of it; I loved the world of the first book more, I will confess. The environment constantly changes around Elowen, she is constantly meeting new, puzzling, mysterious and at times traitorous creatures, her quests and adventures keeping you on the edge of your seat pretty much from one end to another. I cannot recommend these books strongly enough; I’m personally looking forward to reading the next book in the series, as I can’t wait to see how Elowen will deal with the rest of her quest, how she’ll deal with Lord Lucien and the tyrannical forces of Prester John. Sadly, these beautiful books are only available on Lulu, so no easy peasy Amazon widget for you guys. Go get your free copy of The Map of the Known World now, and we’ll talk about it at length!